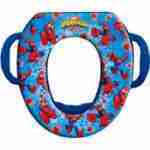 New Orleans Premium Infant car seat rental installs rear facing for children under 2 years old. 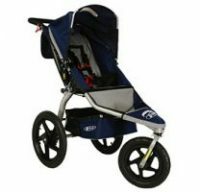 Chicco Keyfit 4-lbs to 30-lbs and 30 inch length. 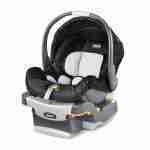 New Orleans Premium Infant car seat rental, also called infant capsules only install rear facing. Children under 2 years old should always ride rear facing. Parents can turn a child forward facing legally at 1-year. However, the NHTSA and APA recommend that children remain rear facing until age 2 or longer. Additionally, we have convertible car seat rentals, toddler car seats, booster seats, as well as New Orleans premium infant car seat rental. One-pull Latch tightener with force-multiplying technology to help achieve a tight and secure fit with a fraction of the effort! Due to liability and Insurance restrictions, Rockabye personnel cannot install car seats or assist with installation of New Orleans premium infant car seat rental. Our cleaning process is extensive, thus no other baby equipment rental company in New Orleans offers this level of sanitization for New Orleans premium infant car seat rental. Rockabye is happy to deliver your baby gear rentals to your destination. Whether that destination is a hotel, or a vacation rental through AirBNB, VRBO, HomeAway, or any other rental service. We pride ourselves in offering the most flexibility of any baby equipment rental company.